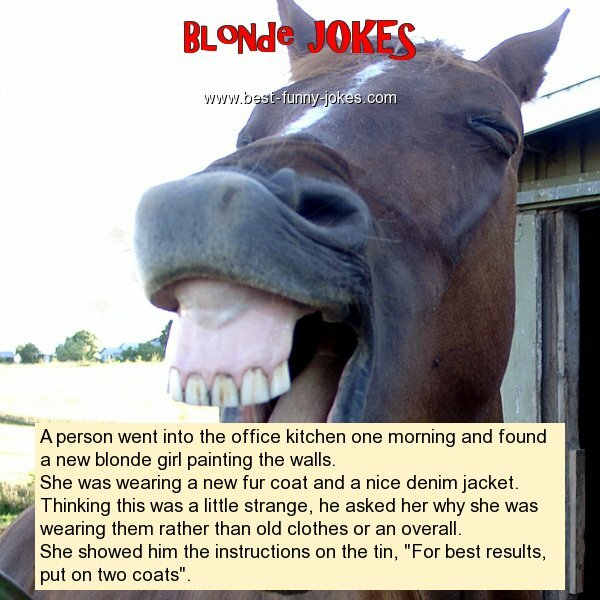 A person went into the office kitchen one morning and found a new blonde girl painting the walls. She was wearing a new fur coat and a nice denim jacket. She showed him the instructions on the tin, "For best results, put on two coats".